One could say that it is not our intention to make things more silent or to suppress a sound. 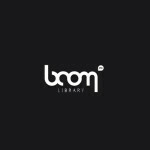 Especially when the company name is BOOM Library. But this SFX library is targeted at a special sound sector. There is a particular group of persons that doesn’t want to give up a high quality sound setting for their preferred working equipment – suppressed weapons. 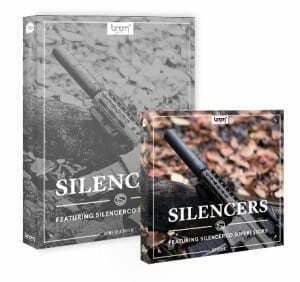 These sounds are for the silent killers, the special agents, the hitmen, the Special Forces, snipers, hunters and anyone whose profession is to remain silent but in a convincing way and at the best possible sound quality. And you as a sound designer are the one that can make it come true. When it comes to suppressed weapons shooting, be it single shots or heavy gunfire, improvising now comes to an end. 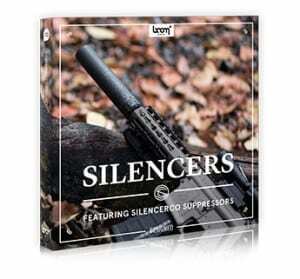 Our SILENCERS SFX library enables you to create individually fitting sound signatures. Including extensive sound recordings for 8 pistols, 11 assault rifles, 6 rifles, 4 shotguns and 2 submachine guns, this collection is the elaborate answer to tonal immobility. 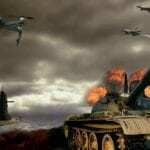 You’re given a large pool of resources of suppressed gun shooting material containing weapons such as the Pistols Glock 23, Walther PPK, HK USP 9, the Assault Rifles AK47, HK 416, Sig 55, the submachine gun HK MP5, the Shotgun Benelli M2 and many more. No matter what your blueprint may hold, no problem – you’ll find your equipment in this well-sorted toolbox. 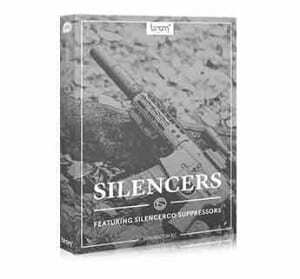 To make sure to have the right ammunition for your upcoming projects: arm yourself with SILENCERS and be prepared to hit the target – be it an action movie , video game, thriller, a military report or any war scenery, SILENCERS is the suitable equipment that will help clearing the environment of unnecessary noise and create a clean soundscape. Sharp, tough, stringent – but oh so silent. The bundle contains both, the CONSTRUCTION KIT and the DESIGNED edition. The SILENCERS DESIGNED weapon sounds come as pre-designed, “ready-to-use” SFX. You’ll get perfectly mixed silenced gun sounds that will save you precious time and energy when it comes to time-critical projects. Each weapon shot comes in three styles. 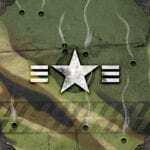 MECHANIC: The sound focus lies on the mechanics of the weapons. The sound is cold, uncompromising and very close. REALISTIC: This version is for the purists. The most realistic and well-balanced sound of a suppressed weapon. RICOCHET: The most characteristic version. You hear the typical high-frequency fizzle of a suppressed weapon shot. Each file contains 4 versions of a shot to ensure flexibility and alternation. Get your hands on more than 400 high quality SFX delivered in more than 100 files. The DESIGNED version also contains recordings of automatic shooting and impressive gunfire bursts, all silenced of course with the SilencerCo suppressors. We assure you best quality and impressive SFX – high quality recorded and produced in 96 kHz and 24-bit by our devoted sound designers, including well-grounded Soundminer metadata. With the SILENCERS CONSTRUCTION KIT, you get our multi-channel source recordings so you can balance and mix the sounds just the way you want to. It contains more than 10GB and comes with rich weapon variety: 8 pistols, 11 assault rifles, 6 rifles, 4 shotguns and 2 submachine guns, including for example the pistols Glock 23, Walther PPK, HK USP 9, the assault rifles AK47, HK 416, Sig 556, CZ Scorpion, the submachine gun HK MP5, the shotgun Benelli M2 and many more. You can check out the list of weapons below. Additionally, you also get lots of bullet drops, bullet pings, handling, mechanics, ricochets, ricochet fly-bys, tails and whiz-bys to not miss any sound when designing your suppressed weapon sounds for your projects. All of the recordings are delivered in 96 kHz, 24-bit, giving you the best quality for heavy editing, pitching, and FX processing while keeping a top notch level of clarity and precision. To provide you with the fastest and easiest workflow possible all files contain extensive metadata. HK 416, Smith & Weeson M&P15, Colt M16, SIG 556. Glock 19, Glock 21, Glock 23, Colt 1911, Ruger SL 22, HK USP 9, HK USP 40, Walther PPK. Armalite AR 10, , Chiappa Little Badger, Christensen Arms 338 Lapua, Desert Tech DTA SRS 308, Tikka T3. Benelli M2, Benelli Super Black Eagle, Remington 870 Tactical, Saiga 12.